La Cambre École Nationale Supérieure des Arts Visuels in Brussels has a formidable fashion course that is still a relatively stable secret when compared with its more famous country counterpart at the Antwerp Royal Academy. However, this school's alumni includes the likes of Olivier Theyskens and Cathy Pill and its graduates have gone onto hold first assistant and studio director positions at Maison Martin Margiela, Raf Simons, Lanvin and Chanel to name but a few. It has also been scooping up prize after prize at competitions like the Hyeres Festival of Fashion and Photography. 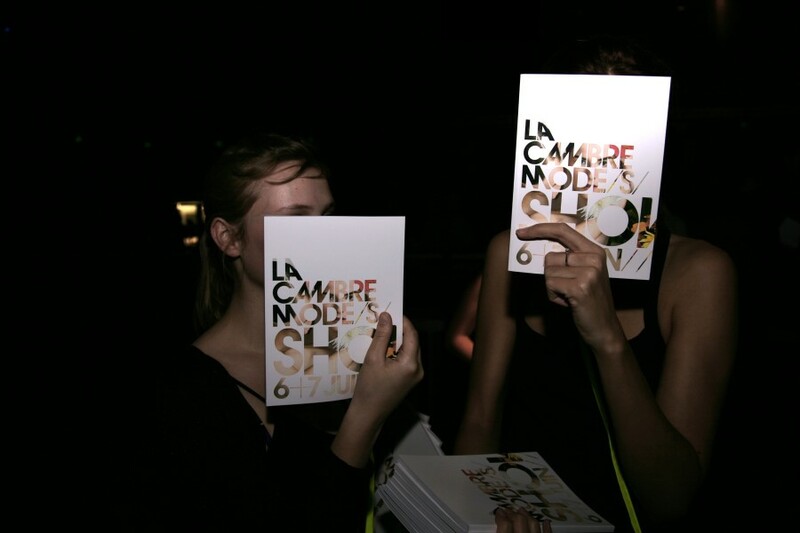 Therefore, at the student show of La Cambre Mode 2008, at Brussels last weekend, there was definitely a feeling that the students were being scouted for future internships and job opportunities and that people were taking note of specific names to remember. The jury, assembled to judge the fourth and final year collections, was also a formidable one. Jean Paul Gaultier presided the jury and that in itself attracted a great deal of press attention, and the likes of Isabelle Aout, studio director of Maison Martin Margiela and Lucas Ossendrijver, head designer of Lanvin Homme were also present as jury members. With a five year intensive fashion course that Tony Delcampe, the director of the fashion department has developed, the first two years is spent concentrating on volume, colours, fabrics and techniques which will then inform students and guide them to creating their own collections in the last three years of the course. "Our aim is to help students to get all this into their heads. When they will be making trousers in fifth year, they will know where to draw ideas from, because they acquired this vocabulary like learning how to speak and write. Nevertheless, they will use it in their own personal way. Of course, they will have their own references." says Delcampe. On the catwalk, every student from each year got to show their work but it was obviously the fourth and fifth years' collections which were the most anticipated. In the fourth year, Caroline Hiernaux stood out with her mint and peach collection inspired by David Bowie-style androgyny and mixed men and women's sizing in the tailored jackets which were then stripped down to skintight mesh bodies. Lea Peckre showed exceptional technical ability in her collection that was brought about by the architecture of cathedrals and ecclesiastical uniforms and presented linear graphic prints. A cultural mix of Japanese, central Africa and European was cleverly executed by Mansour Badjoko Wa Lileko in his menswear collection that featured floral skinny trousers mixed with rope jewellery. Sarah de Grunne focused on 80s' shoulders and 30s' jewellery and fused sportswear with decorative embellishment. In the final year, Roxane Baines took duty free shopping and the associated logos to create a wardrobe for the working girl who travels a lot and sees a lot of airports. Julie Dekegeleer saw a female body building show and used the natural muscle lines in the body to guide her collection that included plastic outer jackets and neck braces and bodysuits with raised shoulders.